I created a new game for your classroom (or at home!). 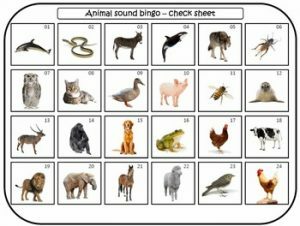 It’s called animal sound bingo. 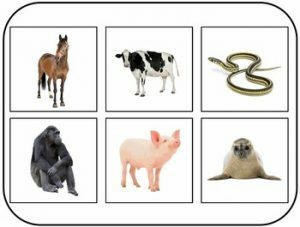 This is a bingo game where the students have to listen to short animal sound clips and match them to the photos of these animal on their bingo cards. 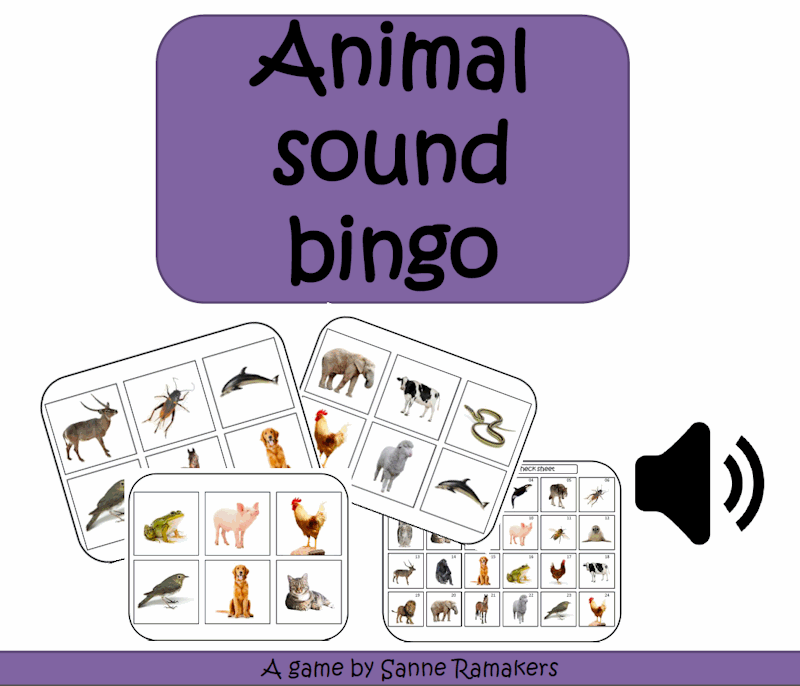 The package contains 24 animal sound clips, a check sheet and 32 different cards. This is great fun for in the classroom! From Kindergarten to fourth graders (and above), everyone will enjoy this! – Unpack the .zip file containing the cards and the sound clips. – Print and optionally laminate all the cards and the check sheet. – Burn the .wav files on a (music) cd and make sure the original order of the animal sound clips is maintained. The numbers on the check sheet correspond with the numbers on the cd. Try to add a 10 second pause between each sound. Alternatively play the animal sound clips straight from your (laptop) computer if you have one in the classroom. – Hand out the bingo cards and make sure that every student has 6 chips (or something similar). Make sure you have enough chips yourself to put on the check sheet. – The object of the game is to match the animal sound clips to the corresponding pictures. – Turn on the cd and put it on random or shuffle play . This way the outcome of the game is truly random. – When a student calls out a BINGO, you check this on your check sheet. If the BINGO is correct the student collect a small prize or a sticker. – You can make the game a little easier by playing all the sounds in advance and explaining something about the animal. – You can make the game more difficult by handing out two or more cards to one student. Lots of new stuff added: Food worksheets (fruit flashcards and vegetable flashcards). Sound bingo, go fish and word memory; Fun games to play in your classroom or at home! Lesson ideas for the phonics theme and the spring theme. Number games are added in the numbers theme.